Pass The Pen is the quick-fire drawing game where you are up against the clock... because the pen nib will be disappearing while you are drawing, you have 10 seconds to draw a picture while the other players guess what it is.. 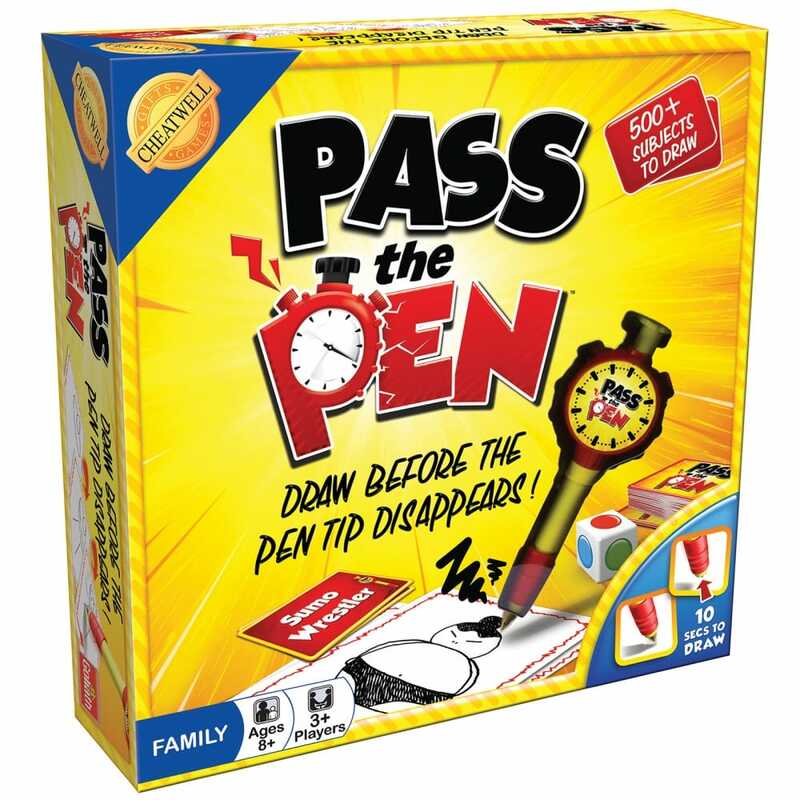 Pass The Pen has a great mechanism your time is limited by the pen itself because it won't be long before the nib retracts back into the pen! Over 500+ subjects to draw! Contents: 1 x pen timer, 112 cards, 1 x drawing pad, 1 x die and game rules.